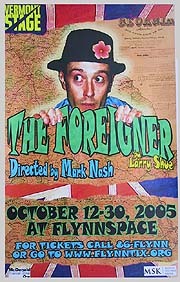 Andrew Sellon is hilarious as the foreigner Charlie. His remarkable eyes speak volumes. Mr. Sellon’s comic timing is great and he’s especially funny in the breakfast scene, telling a story in his native language, and conducting a language lesson. Not only that, we see Charlie grow and flower as a human being. Andrew Sellon gave a delight-filled performance as Charlie, transforming his character from transparent to triumphant over the course of the play. In the first scenes, he acted out a virtual thesaurus entry for fear, shrinking from human contact, bugging out his eyes and jumping out of his skin as his character awkwardly adapts to his surroundings. Charlie comes into his own when Froggy traps him into showing off his supposed skills as a raconteur in his “native” (nonexistent) tongue. Sellon masterfully sold the story in a hilarious mischmasch of nonsensical dialect. As the play unfolds, Sellon unveils a Rolodex of facial expressions capturing Charlie’s oppressive sadness, spinning bewilderment and, eventually, inspired craftiness. Charlie speaks funny, but Sellon’s facial expressions are hysterical. The scene where Charlie, at Froggy’s behest, tells a lively story from his “homeland” is hilarious. 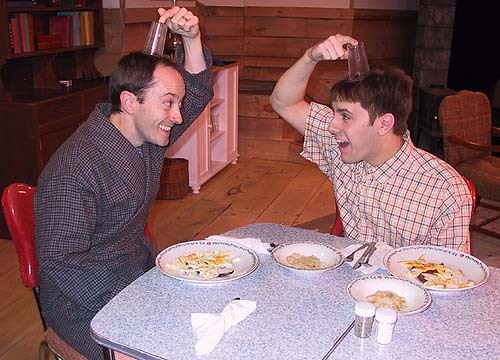 The cornerstone of our production is Andrew Sellon, a New York-based Equity actor last seen at Vermont Stage Company in 2002 as Didi in our production of Waiting for Godot. In addition to being an incredibly intelligent and funny actor, Andrew has the advantage of having played the role before — twice! What follows is an interview with Andrew in which he shares his thoughts on the play, the role, comedy and the actor’s process. I hope you enjoy it. VSC: You’ve performed this role before. Twice, in fact. What’s it like to repeat a role? What are the challenges? The rewards? AS: This is the first time I’ll have played the same role for a third production! It’s rare to be offered a role like Charlie even once in a career, so being asked to do this go-round with VSC is a real honor. I’d say that the challenges and rewards of repeating a role are like the two sides of the same coin — you don’t want to literally repeat your choices moment-for-moment from one production to another because then you would not be open to finding something new in each moment. But by the same token, a well-written comedy like this contains a clear (and almost musical) “score” of the author’s comic intentions, and once you have the rhythm of the piece in your body, you don’t necessarily throw all your previous learning out the window. The director and the new cast members are the key variables that make each version fresh; what I’m most looking forward to is what new surprises and truths they will help me find in Charlie this time, and what I can share with them in return. I know the basic “score” well, it’s a great ride for both the actors and the audience. I can’t wait to share that with new friends. VSC: What would you say are the most important factors the cast and director of this play must be mindful of in order to have the best chance at making the play work? AS: I’d say that the bottom line is the same for any play that is not a satire: believe in the reality of the situations and the stakes absolutely, without winking or commenting. For Charlie, no matter how outrageous and bizarre the circumstances, it’s all really happening, and it’s life or death for him right up to the end. And I think in any play, every single character must believe that he or she is the protagonist — even the villains. That’s what makes it all spin. VSC: You were last seen at Vermont Stage Company as Didi in “Waiting for Godot,” which has a strong comic element to it. How would you describe the difference in your approach to the two types of comedy? AS: Hmmm…! It’s certainly true that Godot has some touches of vaudeville and existential language not found in The Foreigner, but then the latter has its own brand of wacky physical comedy and wordplay. Overall I think the basic acting approach is the same: it still comes down to trusting the reality of whatever the playwright hands you at any given moment. 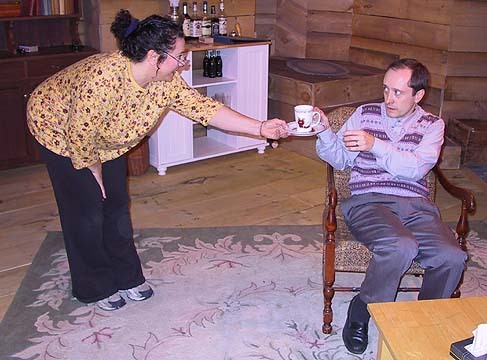 Didi and Charlie are both pretty “out there” as characters, both are guys on the edge of oblivion, and the writing in both pieces demands that the actor be able to flow seamlessly from broad, surreal comedy to real drama and even moments of sentiment at the drop of a hat (bowler or otherwise). And again, to me, the more seriously these characters take their predicaments, the more genuinely funny the piece becomes for the audience. So I guess that while the playwrights take Didi and Charlie to very different places at the end, I’d say that the main rules for living in their worlds seem very similar to me. The actor must find and feel the truth in the character’s every word and every gesture in order to share the journey with the audience. The rest grows (and sometimes stretches!) organically out of that core reality. VSC: What is it about this play, and especially your character, that you think appeals to audiences so much? AS: First, I think we’ve all been Charlie at one point or another in terms of feeling like a foreigner or an outsider to the world around us. Second, I suspect we all do have hidden creativity and strength that we’re afraid to show to the world, or maybe even don’t realize we have within us until others bring it out of us. The play taps into those truths through the characters in unexpected, hilarious ways that are incredibly liberating for the audience. Everybody loves to be given a real reason to laugh! I’ll confess something: much as I love every second of performing a masterpiece like Godot, and while I’d do it again in a heartbeat, it’s always good for the soul to see (and perform) a show like The Foreigner where everyone goes home happy each night. I think we all need and deserve that. 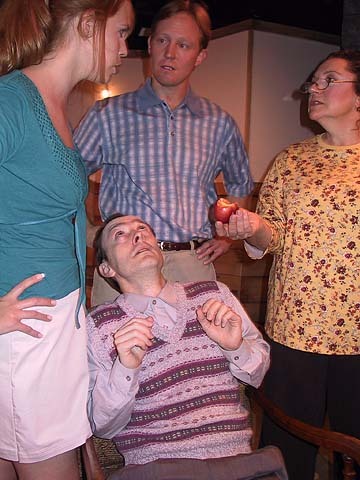 VSC: You’re a regular at Vermont Stage Company’s Young Playwrights Festival. What keeps you coming back? AS: I can’t think what would keep me away. I was invited to participate as of the 3rd season, and have been there for nine years in a row now. I even turned down a showcase production in New York one year because it would have meant missing the festival. 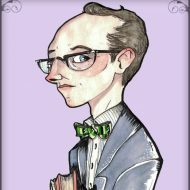 It’s an incredible thrill to me to work with those talented young writers and help them realize their visions on stage. It’s so important to show them that we (as adults and as theatre professionals) value their creativity and their hard work, and also hopefully to point the way toward their future growth as writers. I’ve lost count of the number of amazing plays I’ve seen and been in over the years, but what a talent pool Vermont has in this program! 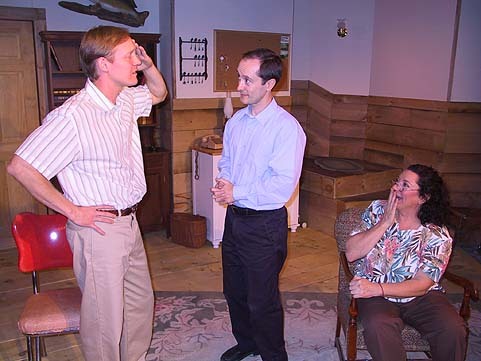 And that’s not to mention the regular annual repertory of performers — what a joy to see those faces each year, and share the stage with them in one new play after another. Plus, selfishly, the festival is like actor heaven — I’m regularly cast in an incredible range of roles, some of which I would never have the opportunity to play on the professional circuit, where casting has become so literal. The young playwrights don’t know the meaning of “impossible”, and the festival allows us actors the freedom to become just about anyone — or anything — imaginable. What a gift! I only wish VSC could share the best of these productions with more of the Vermont audience, because a lot of the writing is better than what I see Off-Broadway. And now that I think about it, the festival has been perfect preparation for playing Charlie — so that works out well! I’m deeply grateful to VSC for all of these incredible performing opportunities over the years, and can’t wait to bring our Foreigner to the Vermont audiences. Let the silliness begin!